If we’re getting personal then let’s go the whole hog! Your full new surname in all it’s glory on display throughout your day. Perfect. 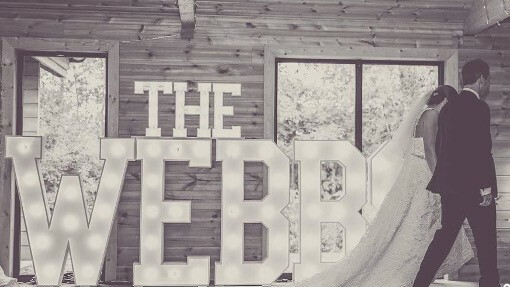 With your new surname in lights this will make your wedding YOU and unique. 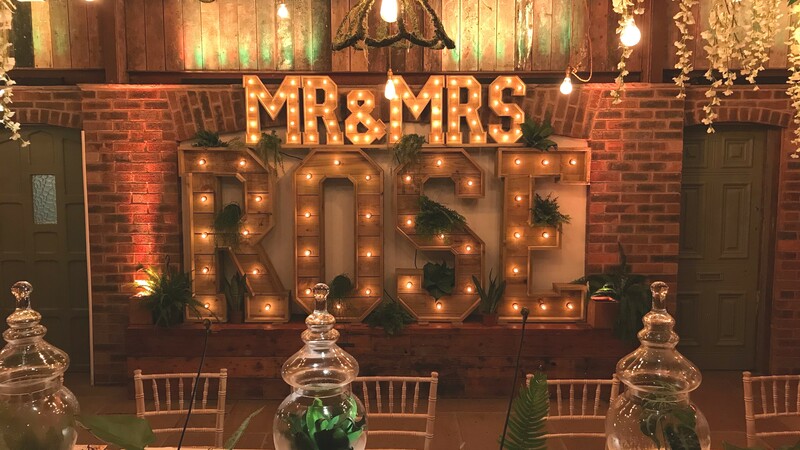 The Table Top ‘THE’ or ‘MR & MRS’, ‘MR & MR, ‘MRS & MRS’, TEAM letters sit on top of your new surname. Awesome right? 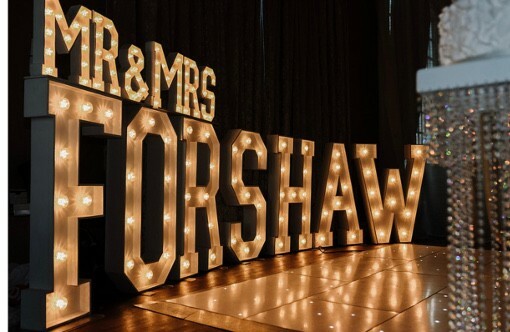 Imagine doing your first dance, romantically lit by our light up letter surname of your new name! No name is too big or small, we have more than enough letters to make it happen in both classic 4ft and Rustic wooden 4ft large letters. Want to know more or enquire about bookings? Join our email list to receive the latest news, offers & updates from the The Word is Love team.